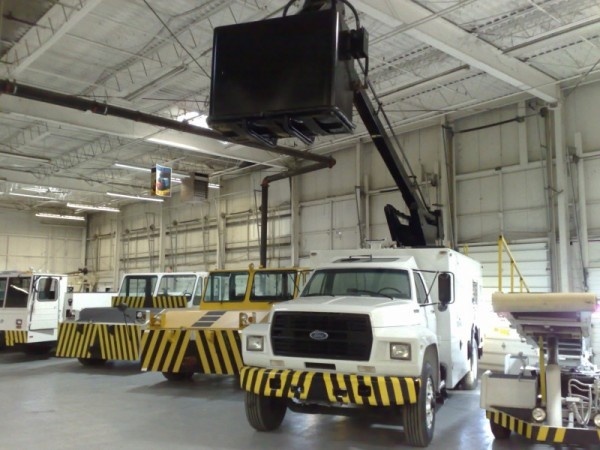 Skybus LLC/ Global GSE stocks a variety of aircraft deicers. If you do not see what you need here, please contact us as we have new stock arriving weekly. Used Landoll TM1800 diesel aircraft deicer truck. Accepts Type 1 and Type 2 fluids. Freshly painted. Used FMC Trump 2000 aircraft deicer truck has a gasoline engine, an automatic transmission, 2,000-gallon capacity, Type 1 only fluid tank, 41’ Max Basket Height, 450 LB Capacity.